West Chester University Theatre proudly presents their ambitious take on the beloved classic, “My Fair Lady.” Adapted from George Bernard Shaw’s “Pygmalion,” the musical tells the story of Eliza DooLittle, a young flower girl with a horrid cockney accent living in the slums of London. After an abrupt encounter with brilliant Professor Henry Higgins, a speech pathologist and studier of phonetics, she decides to become his pupil and learns the refinement of speech necessary to start up her own flower shop. Unsurprisingly, the pair clash in ways that seem irreparable and the audience is left to wonder if this ambitious journey will reach a satisfying end. WCU’s rendition of the musical will be unlike those of your high school or community theatre productions. A cast of 12 play 30 characters, and they are accompanied by just two pianos instead of the usual full orchestra. This production focuses heavily on the ensemble; therefore, most of the action which happens behind the scenes will be occurring right on stage, in front of the audience’s eyes. The ensemble rarely leaves the stage, if at all, and continuously supports the telling of the story. This production features guest direction by Brenna Geffords, a Philadelphia-based theatre maker and nominee of several Barrymore Awards, as well as guest music director Josh Hartman and guest choreographer Kristen O’Rourke. Typically, the productions at West Chester are directed by a faculty member of the Department of Theatre and Dance. I had the opportunity to speak with the production’s stage manager, senior Marissa Brewer, who gave me some insight on what it was like working with a director outside of the University, “With our professors, we usually know what to expect… it took a bit to get used to [Brenna’s] process, but the way she works with the actors is really awesome,” Brewer stated. She stressed that the process was conversation-based and collaborative, “We have a Facebook group that the cast is in, and a lot of the design elements of the show are going to be inspired by the characters that the cast are creating, which is very different.” Normally the cast does not get much say in the designing of the show, especially in reference to costumes, so this is an exciting feature of this particular production. Brewer also opened up about what it was like being a student while working on a show for the Department of Theatre and Dance. “What a lot of people don’t understand is that for a lot of the cast, including myself, this show is a grade. They have to schedule work around rehearsals and fit their other classwork around rehearsals…it can be really rough and people get really stressed.” She then gave me some insight as to what a typical Friday looked like for her, “The only time I can work, because we have rehearsals at night, is in the morning. So I’ll open and be at work at 4:00am and then go to our production meetings at noon, and then I have classes, and then I’m at rehearsals from 4:30pm to 10:00pm, so there’s my entire day. And it’s pretty much the same for the cast.” For the most part, participation in this show is a large part of the students’ academics. Rehearsals and performances are not very separate from the academic life of the students, but rather a major contribution to their grades. Think of it as live action homework for four and a half hours every night, and then going home just to do more homework for other classes. Intense, right? Brewer re-emphasized the fact that the show is very much influenced by the ideas the students, which is special because it is not often that a performance is so collaborative. It gives the students a voice. This production is also taking place on the Main Stage in the Bull Center, which is not the typical proscenium stage on which this show is usually set. “The Main Stage is such a unique space that has the audience on three sides of the stage, so we can’t exactly close the curtain and do a scene change. So it’s all happening in front of you,” Brewer described. 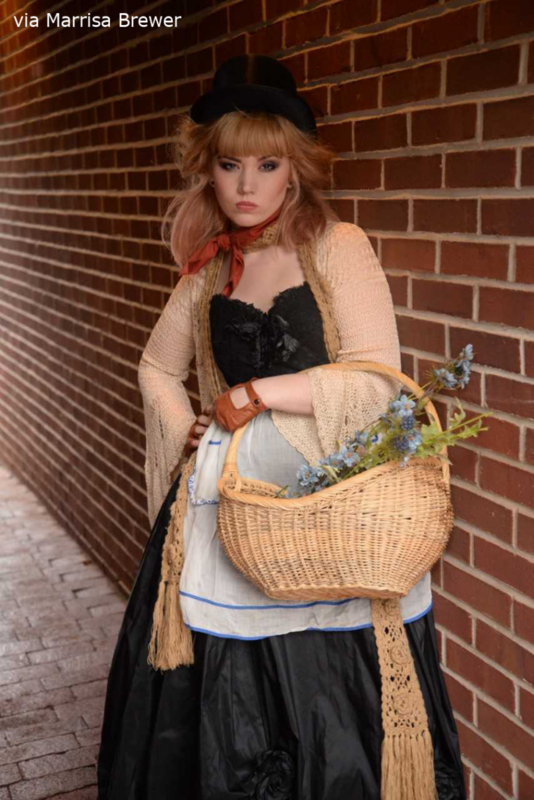 She also stressed that it will not be the notorious three-and-a-half-hour production “My Fair Lady.” “We’re really making this show our own, which is what we’re known for here at West Chester,” Brewer continued. Performances of “My Fair Lady” run November 8, 9, 10, 13, 14 and 15 at 7:30 p.m. The November 11 at 2:00 p.m. matinee is already sold out. Get your tickets soon! To purchase tickets please visit wcupa.edu/TheatreDanceTickets. It would be lover-ly to see you there!